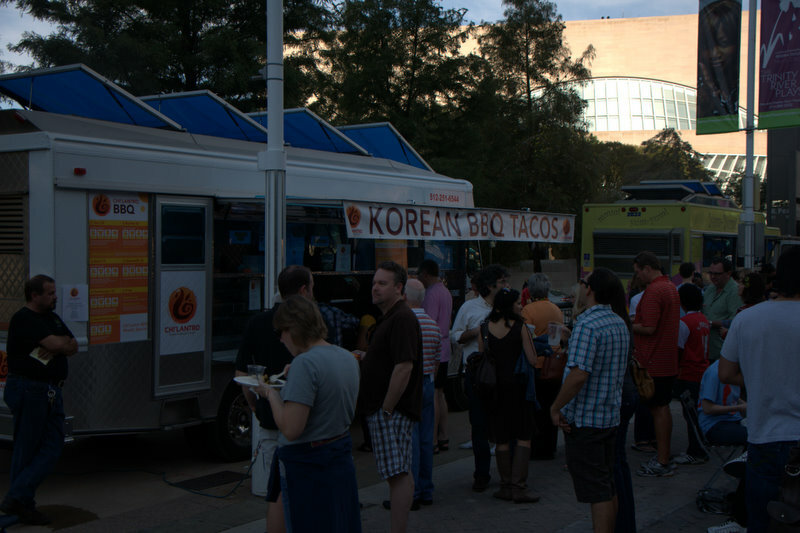 We just completed our first Better “Food” Block in Downtown Dallas. Special thanks to Graham Greene of Oglesby Greene Architects and President of Downtown Arts District Veletta Lill for helping us pull this project together. 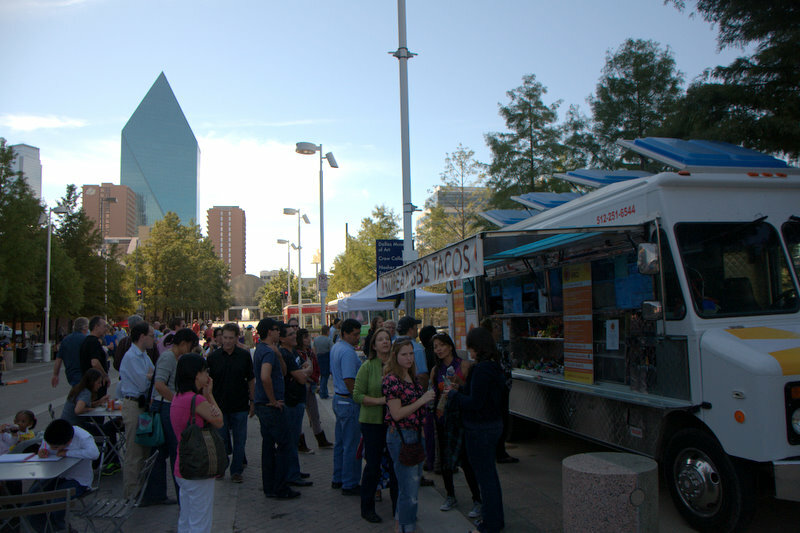 Our effort was to take a street in the Arts District of Downtown Dallas and convert it into a “food cart row” to show how the city could implement a full-time street food presence. 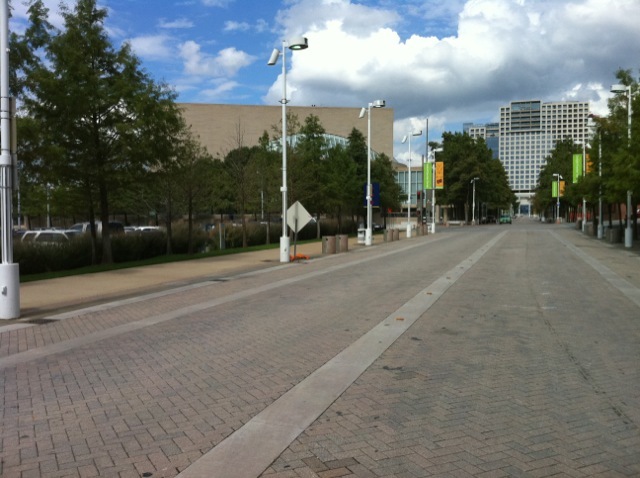 Those familiar with the Arts District would recognize this as the segment between the Nasher Sculpture garden and the Meyerson Symphony Center. The district is comprised of buildings built far beyond human scale and broken up by large arterials and barrier walls, making the area very difficult for enabling meaningful social interactions. Fortunately, the Flora Street area we worked with has a smaller scale with landscaping on either side, but flanked by a parking lot to the North and a wide horizontal building wall to the South. We set to work installing tables among the trees and lining the food carts in a row along the sidewalk to hide the view of the parking lot. Our hope was to redraw the site lines for the block and to create visual change at every 5 second walking intervals. We also set tables out directly in front of the food carts, but opened a 10 foot walkway that acted as the re-engineered street. We did this for two reasons: to create a natural path for pedestrians along the corridor; and to give patrons two options for seating (shaded, and open-sun). 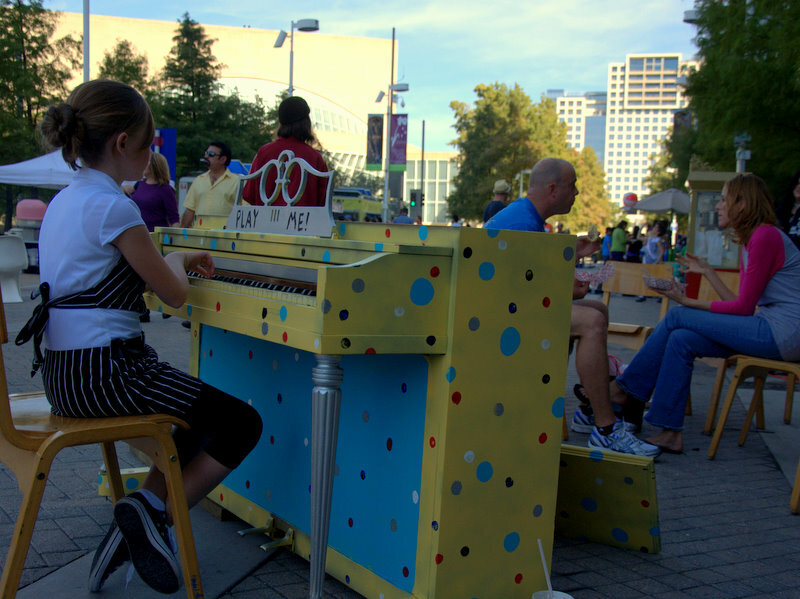 To allow for spontaneous engaging activity we used a large chess board (our standby), and took a page from London’s Street Piano initiative, dropping off a small upright that we painted brightly with the words “Play Me” throughout. 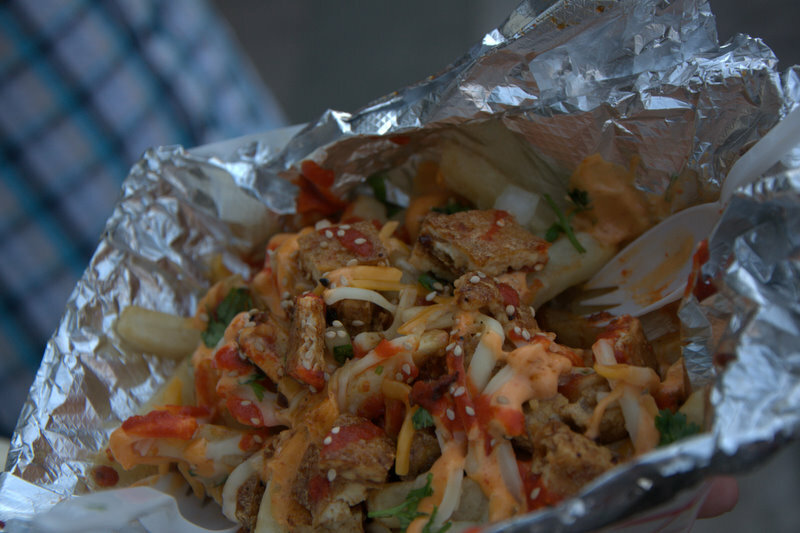 Our major observation of the day was that Street Food is an extremely viable option for Dallas and should be pursued without hesitation. 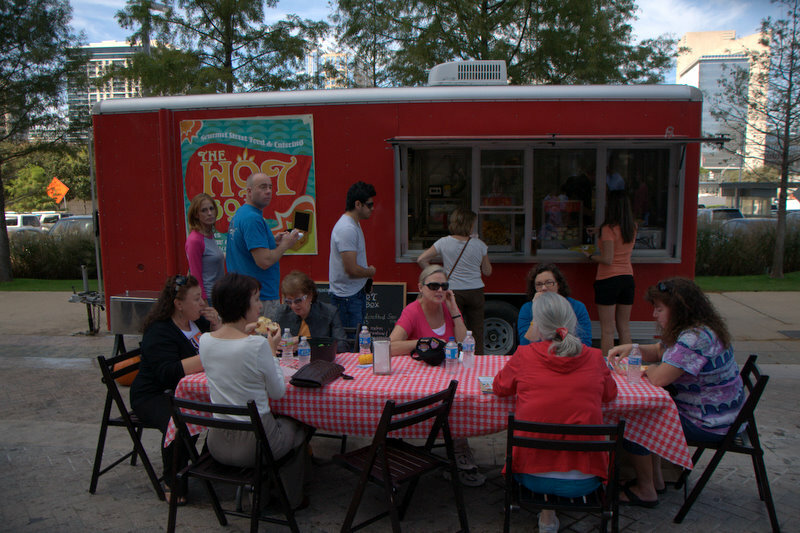 The Chai’Lantro truck, which drove up from Austin, was easily the crowd favorite with a line that lasted throughout the day. Another interesting observation was noting the use of steps for seating…or what public space studier William Whyte called “integral seating”. 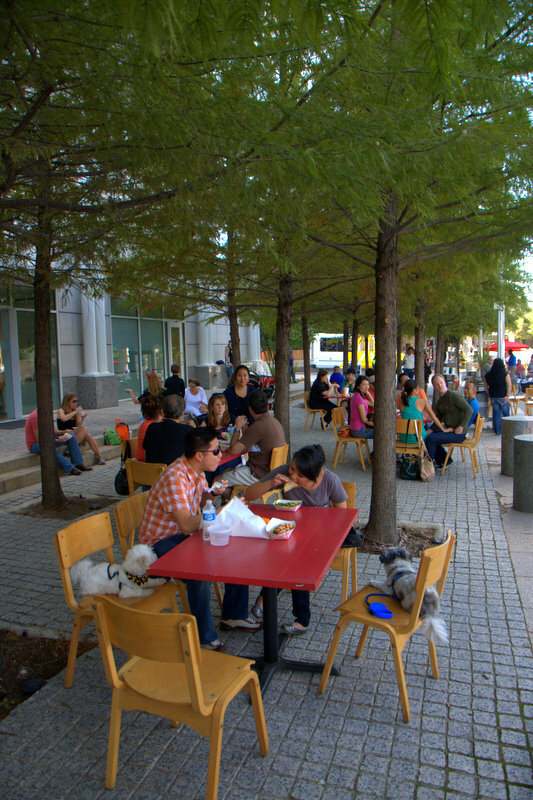 Whyte’s work in “The Social Life of Small Urban Spaces” has been a guiding force in much of our team’s work, and to see his observations play out first hand in Dallas, gave us hope that we can create the same impactful public spaces that he helped develop in New York City. This, along with Whyte’s promotion of street food to help activate plazas, made the project all the more exciting to take on as a case study. 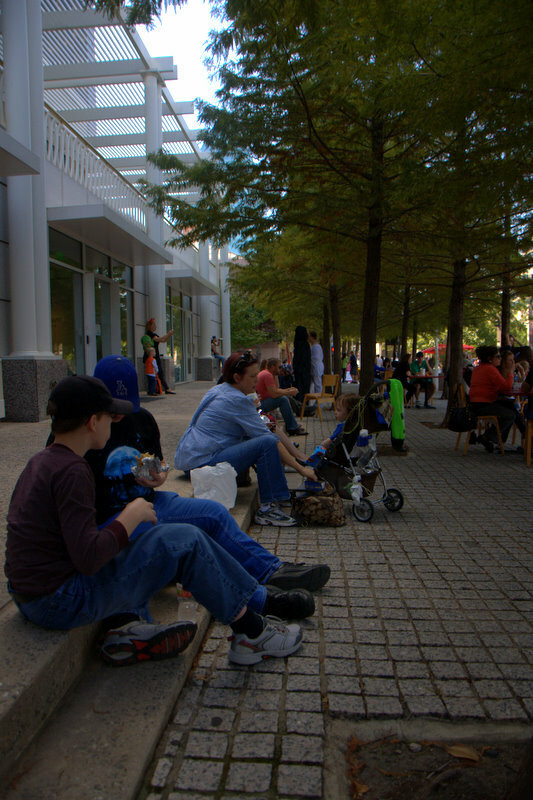 Final deductions our team made from undertaking this project was that Dallas stands to gain more than just enabling a culture that loves gourmet street food, but it shows the potential for a major boost to economic activity, increased street life, immediate re-use of large parking lot edges which creates historic-like sightlines, heightened perception of safety due to more “eyes on the street”, and finally as a by-product, a competitive advantage over the tunnel food courts that have been the bane of city planning initiatives over the past decade. This simple solution could naturally spell the end of the tunnels that city planners have tried to close for years now. These, tied to smartly planned public squares could redefine Downtown Dallas into something that would truly be “World Class”.